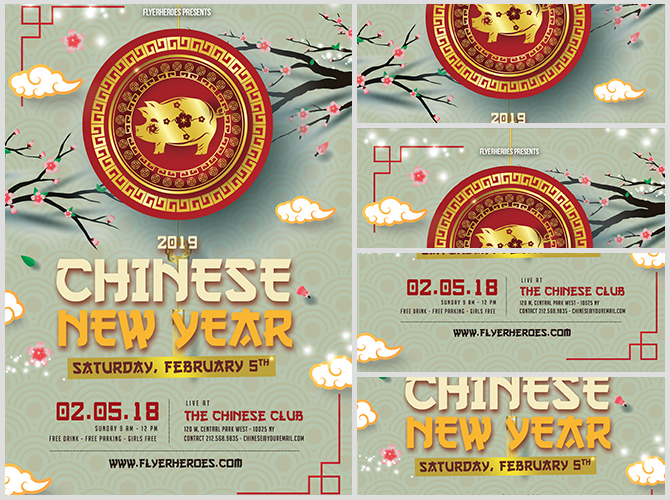 Celebrate the Chinese New year with this beautiful flyer! 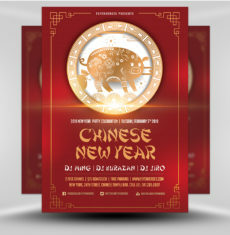 This flyer features a combination of mint and pink, creating a soothing color scheme. 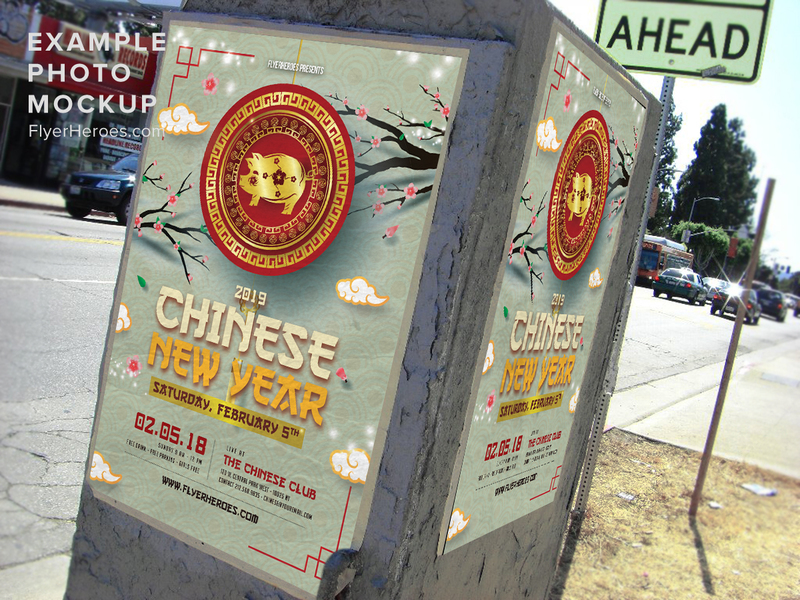 Cherry blossoms appear over a patterned background, with white and gold clouds used as decorative accents. 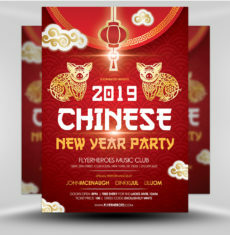 The center graphic feature is a bold red, gold, and off-white, contrasting sharply from the light background. 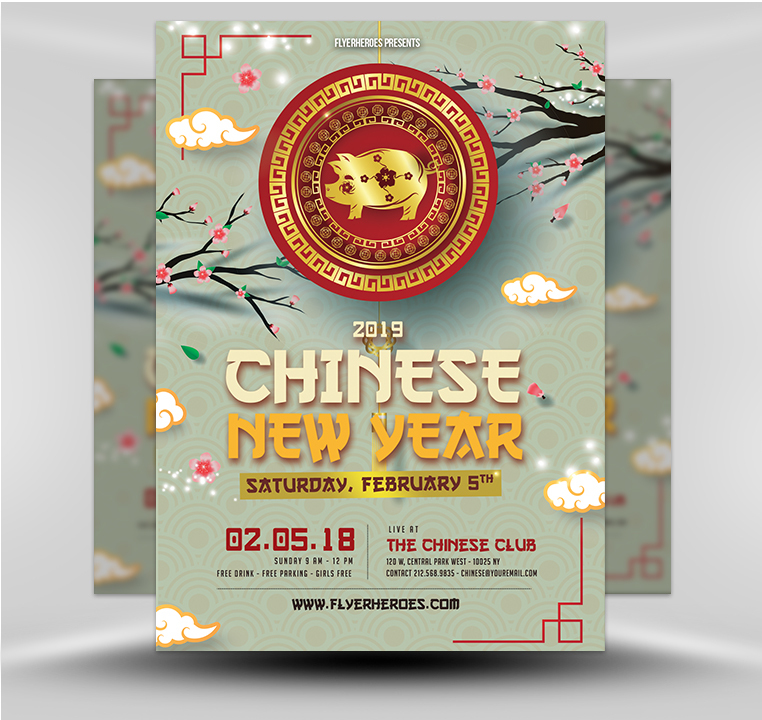 The event text is a stylized white and gold, using a 3D effect reflected in other elements, that lends a sense of depth to the entire design. 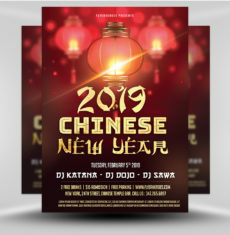 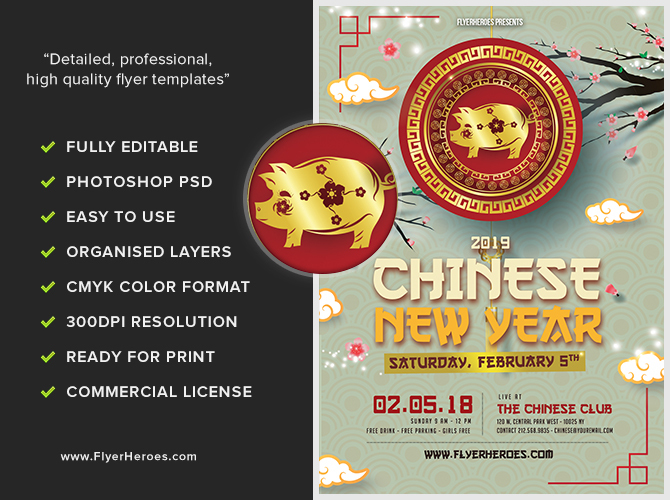 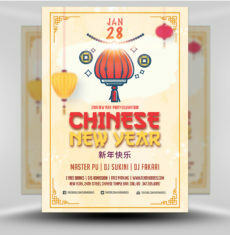 You can use this high contrast flyer for any Chinese New Year event!